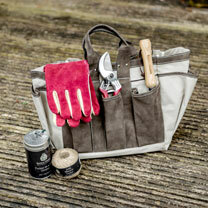 This luxury Garden Bag combines style and practicality and features a large interior and multiple side pockets. 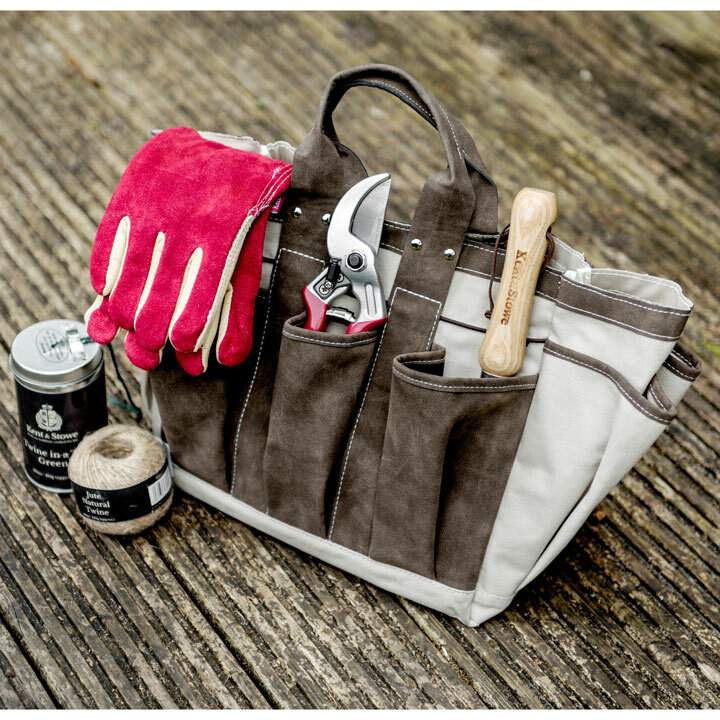 Made from durable canvas, it is ideal for carrying your garden tools and accessories. 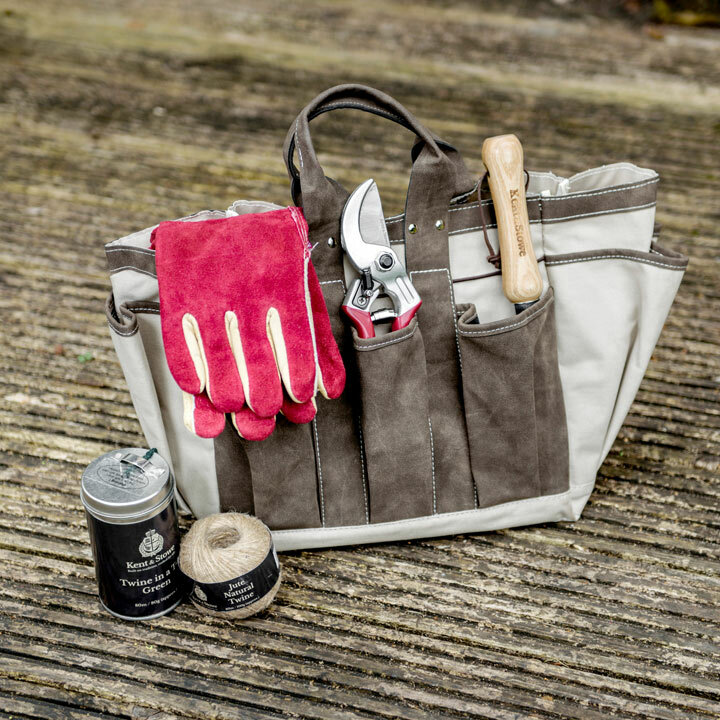 Stylish yet practical with a large waterproofed interior and 8 additional faux suede side pockets. Ideal for carrying all you need around the garden or for taking to the allotment.